A new generation of corporate campuses is emerging on the Peninsula as the number of urban sites dwindles and companies are forced to explore options outside of San Francisco. The suburban corporate campus of today barely resembles the nondescript construction of years past. Sleek, sustainable buildings marked by green space and located close to transit are what’s in. Amenities such as child care, transportation, fitness centers are becoming more the norm than the exception as companies continue to fiercely compete for talent. Proximity to transit and housing are crucial. Those companies that can’t find what they’re looking for when it comes to office space are taking matters into their own hands and building out their own facilities. 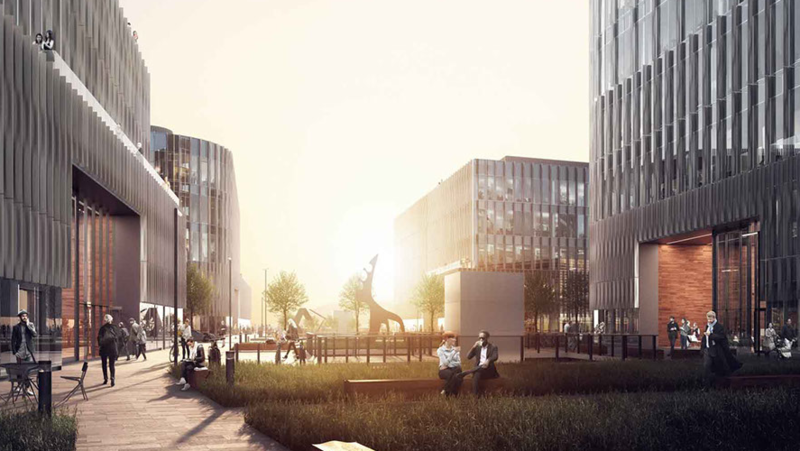 Here we’ll take a look at the new generation of corporate campuses and what they have to offer. Amazon has leased the entire 214,000-square-foot office building at 2100 University Ave. in East Palo Alto, where it plans to hire 1,300 tech workers. In March 2017, ecommerce giant Amazon inked a lease for 214,000 square feet of office space in East Palo Alto. 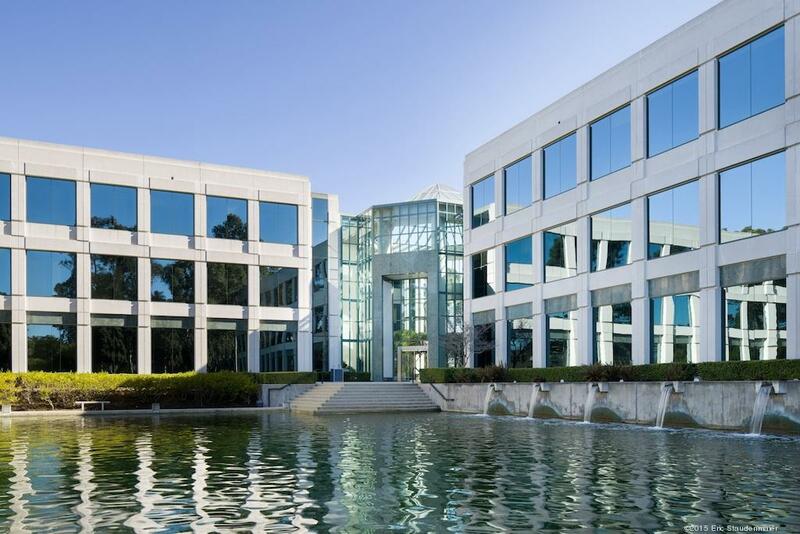 Amazon leased the entire University Square building at 2100 University Ave., a project built out by Cupertino developer the Sobrato Organization. Construction on the four-story University Square building wrapped up in January. Chase Lyman, Sobrato Organization’s vice president of leasing and acquisitions, notes that the project was already entitled when Sobrato bought the site. But while the buildings were well-designed and efficient, Sobrato felt they needed more to entice a big tenant. “We wanted to offer something very unique, special and different,” he said, noting that the building’s amenities were built into the project. To make it different, Sobrato first had to take all the parking out of the underground space and move it into a parking structure. It wanted to turn the two buildings into one so everyone could be under the same roof with a much bigger floor plate so it pushed out to the property line. Sobrato built a three-level bridge that connects the building to the garage with a roof deck on top of the fourth floor with views of the foothills and the Bay. Their space initially lacked an abundance of natural light, leading Sobrato to build a 4,200-square-foot atrium down the center of the building with skylights on top. The design gives co-workers the ability to see their other employees throughout the whole building, according to Lyman. Korth Sunseri Hagey Architects designed the project. The developer chose to use concrete rather than steel, which has been popular, in an effort to give more of “a creative and techy feel,” Lyman said. For example, he noted, Sobrato upsized power for additional electrical vehicle charging stations, provided bike storage and “probably overbuilt the restroom fixtures,” according to Lyman. The developer also added photovoltaic panels on the roof. Amazon is set to move in this month and is in the middle of building out its tenant improvements. The company said it will eventually hire 1,300 more employees for the site. Burlingame city officials hope that the project is just a first step in building up the city’s entire Bayfront area, which still has plenty of room for new office and hotel development. In February 2017, Chinese developer Genzon Property Group broke ground on its $300 million bayfront office project in Burlingame, nearly two years after purchasing the property for about $48 million. Kylli, a subsidiary of Genzon, plans to erect 767,000 square feet of office, retail and life sciences space in four buildings on the site at 300 Airport Blvd. The buildings will range from two to seven stories tall. The project is being built speculatively, according to Mike Moran, managing principal and executive managing director at Cushman & Wakefield, who is marketing the property along with Clarke Funkhouser. The campus will be able to accommodate office, life science and lab. It’s 50 percent lab ready, and two buildings on the waterfront will be multi-tenant capable from day one. Kylli didn’t just accept the previous entitlements. It spent nearly two years re-entitling the site to improve the pedestrian flow and adding features to the skin of the building to allow for various usable indoor and outdoor terraces throughout the project. It also is including rooftop gardens and large waterfront parks. Gensler redesigned the project. The campus also will feature “world-class” restaurants and other retail in addition to a daycare and a scaled gym, according to Moran. Many Bay Area tech workers live on the Peninsula so locating there is becoming more attractive to companies, said Moran. Moran said there’s no rocket science to figuring out what amenities tenants might want. “But there’s an art to how you aggregate them, and how you present them to tenants,” he said. 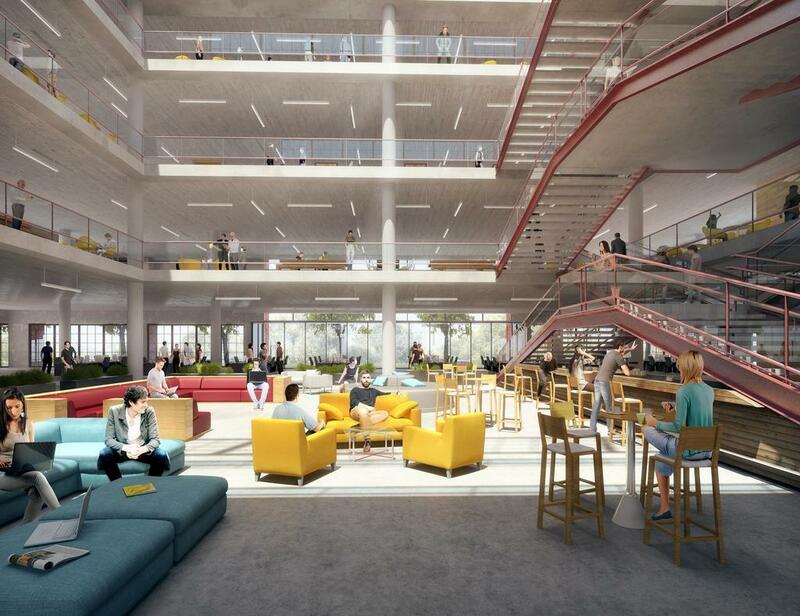 Video streaming company YouTube is planning a modern corporate campus within the office park it now occupies in San Bruno. The company, already San Bruno’s largest private employer, needs more space in anticipation of adding more than 1,000 employees during the next few years to its existing 1,700-person workforce, according to David Woltering, San Bruno’s community development director. YouTube currently occupies about 400,000 square feet across three buildings in San Bruno. Its headquarters are housed at 901 Cherry St., in a 200,000 square-foot building that it has leased from Gap. Inc. for about a decade. YouTube’s parent company Google in recent years has acquired several buildings in the Bayhill Office Park for a total of 900,000 square feet to give the company room to grow. But it now occupies about 200,000 square feet of those buildings. YouTube is working with the city of San Bruno on a specific plan to build out the campus. To keep its campus appealing and comfortable to employees, YouTube offers a variety of amenities currently including massage chairs, mother’s rooms, nap pods, meditation rooms, music rooms, a fitness center, a lap pool and game room. The campus also features a slide (similar to the ones you find on a playground) that is incorporated into the design. 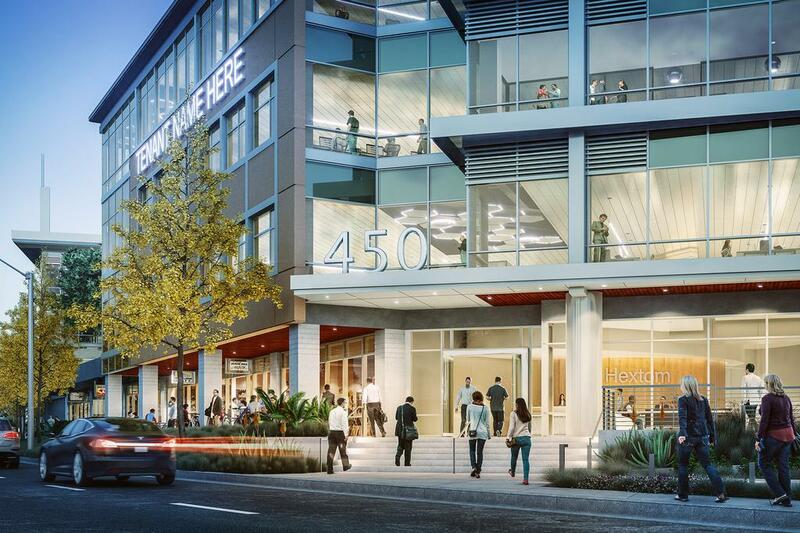 In January 2017, developer Hines and financial partners Goldman Sachs and Pearlmark wrapped up construction of a 96,000-square-foot, four story office building in San Mateo dubbed 400 Concar. 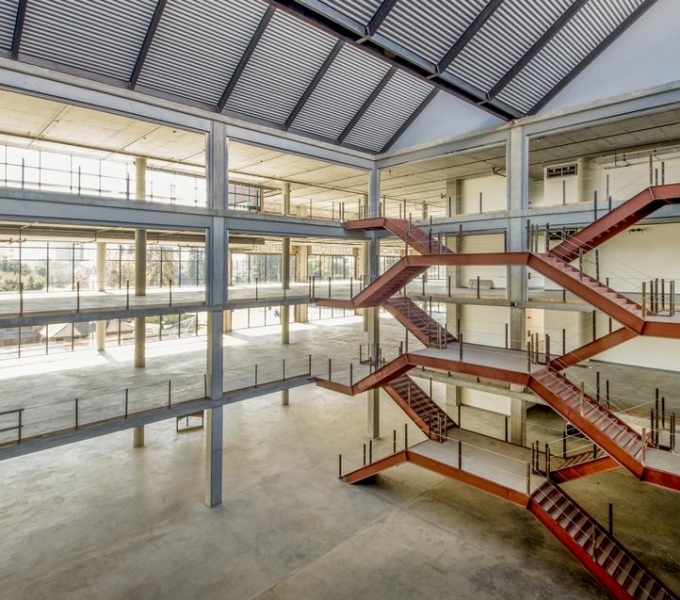 The building is part of a three-building office complex, 400-450 Concar, totaling 305,000 square feet within walking distance of the Hayward Park Caltrain station. It’s also a stone’s throw from Essex Property Trust’s Station Park Green, a 599-unit apartment complex under construction nearby, which will have two acres of parks. Cameron Falconer, senior managing director of Hines, said that when his company took over ownership of the property, it had been preapproved for a 100,000-square-foot project. This was prior to the 2005 adoption of San Mateo’s Rail Corridor Transit-Oriented development plan. “Our opportunity was to re-design and re-entitle it with a more urban form,” he said. Form4 Inc. was the designer. The developer was facing a 55-foot height limit. Ultimately, Medallia signed on for 70 percent of the space and worked with Hines to build in desired amenities. Hines designed office space that was very flexible and Medallia chose to turn that into a lobby area along with a yoga room, a fitness room and a locker room. Hines also added two bridge connections on the third and fourth floors to connect the upper floors of the 450 Concar buildings together. Falcone said Hines is seeing the various product types overlap. Visit Miyamoto Relief, our nonprofit engineering experts, as they make a positive impact on humanity across the globe. Copyright 2019, Miyamoto. All rights reserved.